A family of Mr.Scott from Mumbai arrived to Bangalore City to adopt a dog (Doberman) which was 2 months old, they happily adopt the dog from the owner Mr. Damodar, he happily agreed and after verification he handed over the dog to family, the family stayed at hotel for 4 days in Banglore and waited for Mr. Damodar to handover the dog, Mr. Scott took complete care of dog and got the dog with them to Mumbai and raised the dog with love & care for more 2 months, now the dog age is 4 months. But Mr. Damodar had some different illegal plans to get the dog back from family after 2 months, he pretended that he is arriving in Mumbai for some function and so he wanted to see the dog. Mr. Scott asked him to come down to his house in Mumbai and the family prepared food for them for lunch, and some snacks for evening so that they can have good sufficient time with dog. Damodar arrived in the evening on 16th June 2018 with his another male unknown friend, Mr. Scott welcomed them at home, but here Mr. Damodor played a trick, he told family that his friend's girlfriend is in the car and she is very fond of dogs, so he is taking a dog for 10 minutes downstairs to show to a girl waiting in the car. Mr. Scott trusted him and allowed them to take the dog. Mr. Scott family came to the balcony to see the girl, but they rushed in the car and drove rashly by taking the dog away, family waited for more few minutes thinking that they have taken a dog for a drive, after long waiting for them, the family tried to call Damodar, but he disconnected the calls repeatedly. 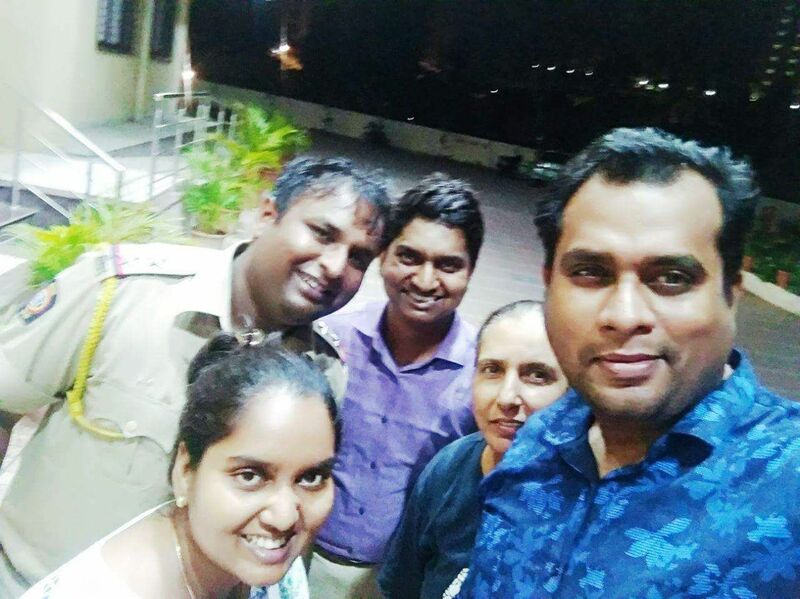 The family immediately rushed to police station for complaint, the officer present a the station house tried to call him, he picked up the call, the officer tried his level best to get the family pet dog back again, but Mr. Damodar did not responded to the officer call well and said that he will not returned the dog. Next Day the family got contact details of Mr. Salim Charania (President of Pawa India & Private detective) from Ms. Nina Joshi. Salim helped the family by investigating the case and called up many times to Damodar and found his location and details through investigation on the phone, Damodar cheated the family & took the dog away from the family and went to Pune City. 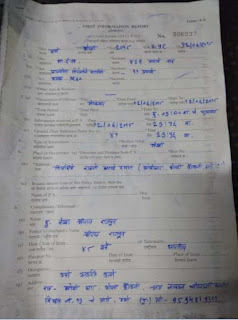 Mr. Salim warned Damodar for his crime on phone and explained him that if he did not return the dog by today, he will file an Fir against him by imposing IPC Section 378 for kidnapping dog (Theft), 452 for criminal Trespassing with other relevant IPC Section. Mr. Damodar finally agreed to Salim's Call and he understood that he and his friend can fall in to deep trouble. So he peacefully agreed that he will return the dog. He hired Uber Car Service from Pune and gave the address & Contact of Mr. Scott to returned the dog, but he did not turn up himself to return the dog. It is very bad to cheat someone and play with emotional feelings of family, the family raised dog for 2 months with complete love and care, there was no reason to take the dog away from the family. 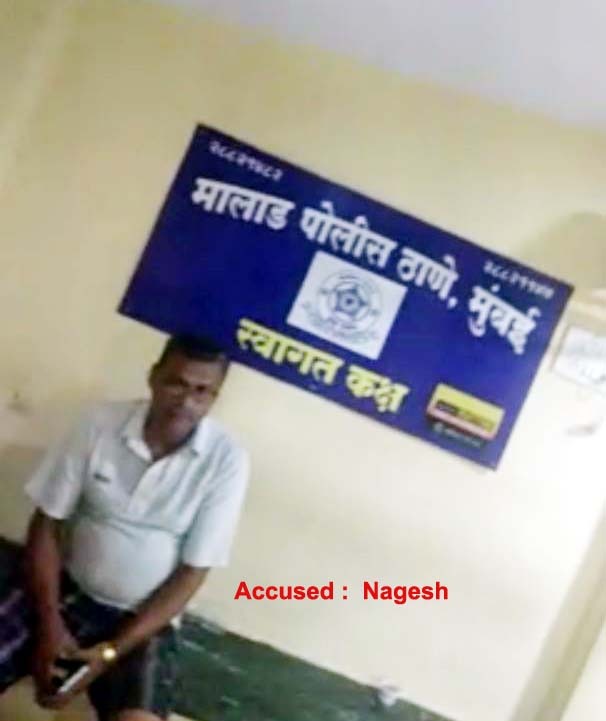 Mr. Damodar understood soon, that his act was a criminal offence, and he corrected his offence by returning the dog back to the family, but he cannot flashback the mental torture and harassment that caused to the family and a pet dog. 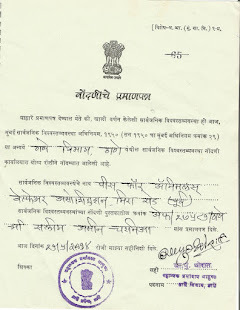 Pawa India Filed Fir against Thane Municipal Corporation Under IPC 429 & PCA Act for intentionally killing a dog during Demolition drive. on 5th June 2018, Moti tried to protect his house by barking on the officials from inside the house, The TMC officials tried to throw stone and water on dog thinking that the dog will run away from the house, they broke the door, removed assets like Refrigerator, TV etc to prevent from breaking, but they did not remove Moti, because Moti was not ready to leave the house, this anger the officials present at the spot and decided to run bulldozer over the house & dog, the slab of the roof falled on Moti, Moti cried in huge pain by howling. 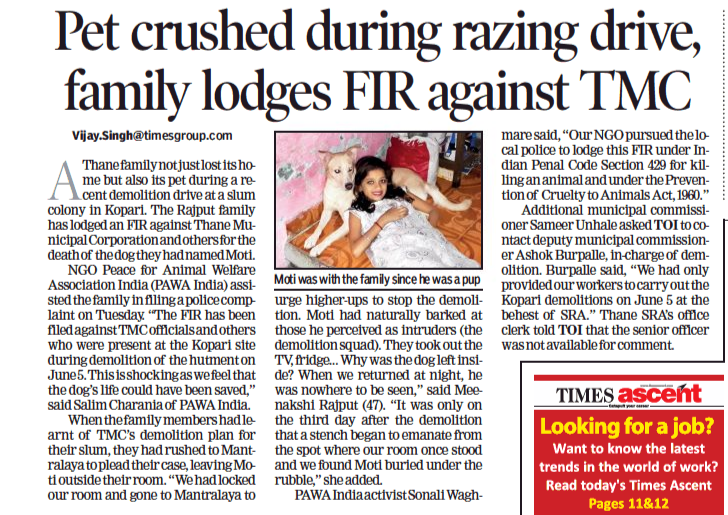 Most of the government officials were present at the spot, they could have removed the dog easily by calling TMC dog squad department, which is few km away from the spot of incident, but they did not attempted any single efforts and drove bulldozer further to complete demolish the house with dog cruelly & brutally. The pain & cry of moti were ignored by all the government officials present at the spot. None of them tried to protect Moti nor public, nor government officials. The owner & family of moti locked him inside the house assuming that, if the door is locked, TMC will not demolish the house, and rushed to Mantralaya to urge higher - ups to stop Demolition. Moti's dead body was removed after 2 days from the fallen & completely broken house. Rajput Family owner of Moti Complained to Salim Charania (Private detective & President of Pawa India) and narrated the whole incident to him, Salim with his Activist Sonali Waghmare rushed to family to help them and approach to Kopri Police Station to take complaint ahead. Pawa India team discuss the whole incident with Senior Police Inspector Gaikwad Madam & Assistant Police Inspector Ram Gopal, The police officer supported and cooperated us to full extent. 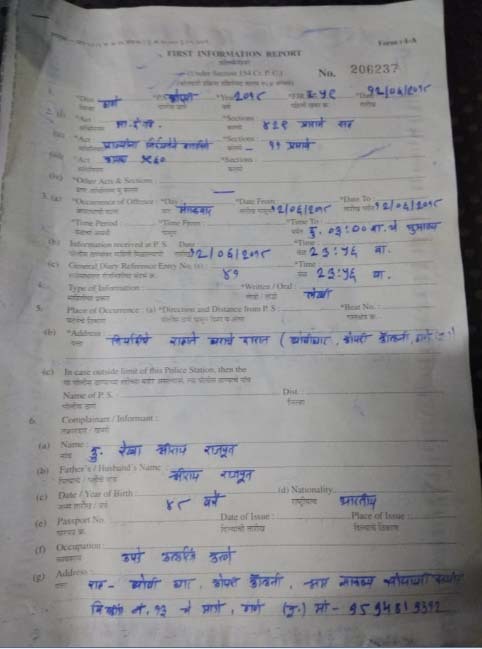 Following up with case for continuously on ground for 3 days, Kopri Police Station registered FIR against the Thane Municipal Corporation Bulldozer driver. 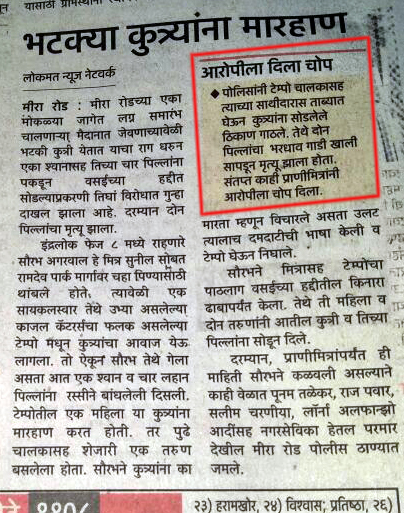 Further investigation will lead to the names of the Thane Municipal & SRA officer present at the spot, and the person, people or builder if found responsible, they will be in the names of accused, resulting in arrest with further case proceedings to the court. The Bulldozer himself alone can't demolish the houses, he follows the instructions of the supervisor & officers present at the spot. 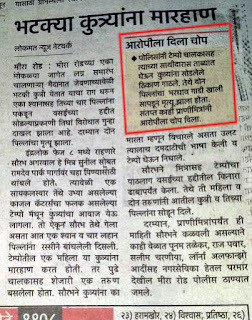 Pawa India is thankful to the Kopri Police Station for immediately taking action against the accused. The news of this incident is also highlighted in Times of India reported by Mr. Vijay Singh. Pawa India feels sorry & sad for the Moti who honestly tried to protect his owner house, but in front of devils, he lost his life, he himself got demolish with his house but did not gave up leaving the house. Pawa India will make it sure that all the accused responsible for the moti death will not be spare and justice will be served to MOTI. Listen to the Audio & Video - A boy named Raghav (Animal & Women Abuser) was forgiven for good parenting. Sometimes Parents are not responsible and cannot be judged for the act of their child or children. Here is the good example where a mother is feeling sorry for the act of her child and slapped him hard for his crime. I wish all the parents should monitor their kids to avoid commit crime. An Fir was registered on him by us under IPC Section 509 for Women abuse. On 3rd may 2018, our activist Sonali Waghmare & her family were harassed by her Haware citi society coward people in a group for feeding animals. The society people came with a group of 50 people to kasarvadavali police station, thane to fight against us including a stupid high court lawyer. ALL these 50 society people were thrown out of the police station by a brave police officer Manish Pote & Vaibhav dhumal, These society people were nuisance and were talking shits in the police station. our team including police had a long debate with the brainless society people, which turn in to heated argument and finally the society people got what they deserve. NO RESPECT, all the society people were taken left right and center & were thrown out from the police station. Once again, I am sure these post will come in to the notice of society people, you are 50 or 500, Majority is not the Authority, we few activist are enough for you, and henceforth we will explain you in the language which you want to understand. This time you are left because you apologized to us, next time if we See you in group, or harassing animals or doing any illegal things, definitely each one will be dealt individually or in group. Our complaints are still active in police station in the form of application and it will get in to FIR, if any wrong move is made by you. We have other people in your building who will notify us for any animal cruelty taking place in your society. Remember one thing you are dealing with our team, and our team is expert and experience in handling you and can fix you anytime, anywhere, anyplace. This is the last warning for your nuisance. DONT TAKE LAW IN HAND, OR ELSE WE WILL REPLY YOU BACK. Many thanks to Kasarvadavali police Staff for being with the law and teaching a lesson to illiterate people who takes law in hand. if Such police officers are there in every city, the city will become crime free city. 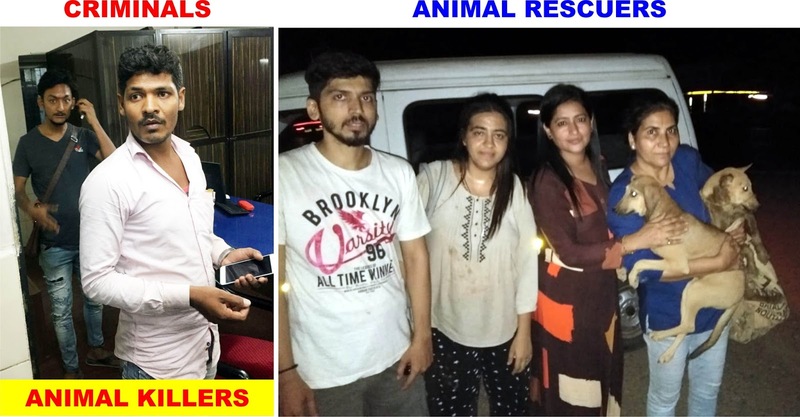 Three People (2 man and 1 woman) of Kajal Caterers in Mira Road indulged in crime committing serious offence against animals, these criminals removed their frustration on stray dogs including puppies, who were looking for left over food where their catering service was organised. 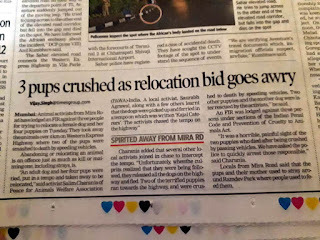 These criminals caught 4 puppies and a mother dog, tied them brutally and dumped in to tempo of Kajal Caterers, The criminals were hitting all the stray dogs caught in the tempo while travelling and were in the clear intention of killing all of them, this brutal act was witnessed by animal activist Sourabh Agrawal, and he tried to stop them, but the criminals threatened him to kill to death, and they continued their crime, Sourabh gave them chase discretely and called up Salim Charania (Private Detective) and informed him about the incident while giving a chase, Salim Immediately rushed to help to find criminals and rescue animals. The criminals dumped the dog to Kinara Dhaba on western Express highway with an intention to kill all the dogs caught, the owner of Kinara also witnessed that the criminals were hitting the dog while dumping on high way. The criminals run away from the spot and could not be caught, Mean while Salim with other animal activist of Mira Road reached the location, the details which were there was only Fake vehicle registration number but on vehicle, the company name was written "Kajal Caterers" Activist tried to search the animals, but the sad animals disappear from the scene. 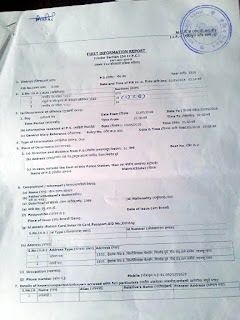 With just information of Kajal Caterers, Salim searched the owner number and address and with the help of Police the accused were called to police station, the accused tried to act smart and mislead police and us for the location, the accused were taken with us and he again showed us incorrect location. He showed us randomly puppies and claimed that these are the puppies and it's safe. Police asked Salim to take puppies in to his van, but something was fishy, upon further investigation it was ruled out that he was giving false information. Salim took puppies in to his van, and asked police to visit Kinara Dhabba with criminals, upon reaching the spot, the terrifying truth came out, two dead bodies of puppies were seen near Kinara Dhaba, the bodies were crushed so badly that it cannot be identified. with the help of activist of Mira road, the two dumped puppies were rescued and was given to private foster for care. Special Vitamins were served to criminals, and the FIR is registered under IPC 429, IPC 34 and PCA Act, Animal Cruelty is a punishable offence, Jail term is up to 5 years or fine or both. Police investigation is in progress and will soon arrest all the people involved in the crime of Animal Cruelty. 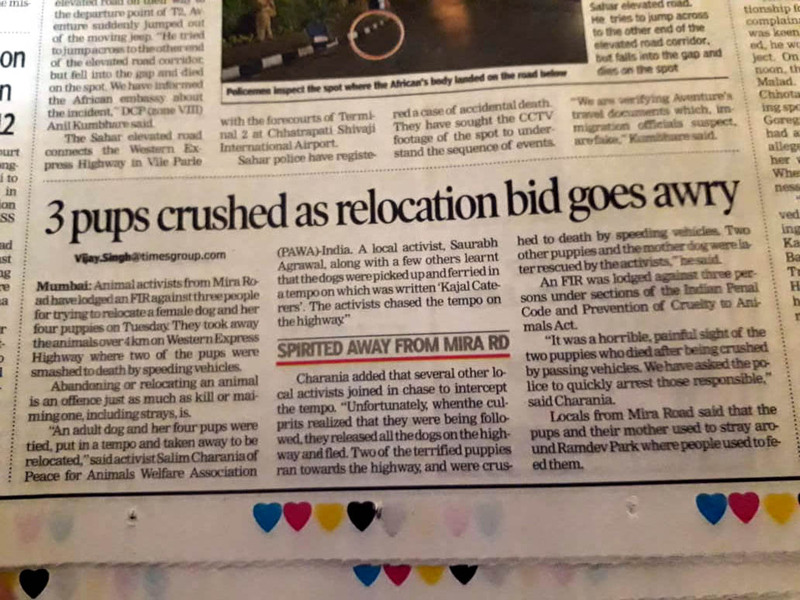 This is Mumbai, and we are stronger than animal abuser, if anyone found performing animal cruelty anywhere whether it's society or on road, or anywhere, the abusers will not be spared. Our special thanks to reporter Mr. Vijay Singh (Times of India) for creating awareness, that animal cruelty is a punishable offence. on 16th February Pawa India Team (Salim Charania - Private Detective, Bimlesh Navani & Sonali Waghmare were on the way in Pawa India Anti Animal Cruelty Van towards Borivali Police Station, while driving through narrow lanes of Malad Area, there was a traffic a ahead and the area was covered with a crowd of 15 to 20 people. We were stuck in the traffic and were behind 10 cars, Salim observed that in a crowd one man named : Accused Nagesh urf (Chander) was abusing another man very loudly and was swearing at him by giving him bad words like MC, BC, etc, initially we thought that it's an personal issue between 2 and the crowd is watching them, Salim realize soon that there were 2 stray dogs sitting on road next to crowd and the issue can be of stray dogs. Salim immediately asked Bimlesh & Sonali to go by walking and find out what is the matter, the animal lover moved away from the spot from the fear of abuser Nagesh, as soon as our team reach the spot, and find out the issue between them from the crowd, it was ascertain that , the man was abusing animal lover for feeding milk to stray dogs. Salim quickly stop him and called him near his vehicle, but he ran towards his home, Salim asked Sonali & Bimlesh to chase him on foot and he will be there soon once he parked the van, they chased him on foot and found out his address, the abuser wife came to his support and was defending him, to our surprise he himself own the breed dog. Salim Called police and he was taken to police station, there we explained to duty officer to booked him for his crime, he was apologizing for his crime, and was asking for forgiveness but we cannot let him go easily. He was Booked under MPA 122 case number 355/18. The crowd was watching cowardly but no one dare to stop his abuse towards innocent animal lover who was feeding milk to stray dogs. The animal abuser was trying to over power the innocent man and he could have abused him physically if our intervention was not there. The abuser was hot like a fire before our approach and he became cool like an ice after our intervention. Feeling sorry for the animal lover, we cannot meet him because he moved away from fear, but if he is reading our post, he will be happy to read about it.